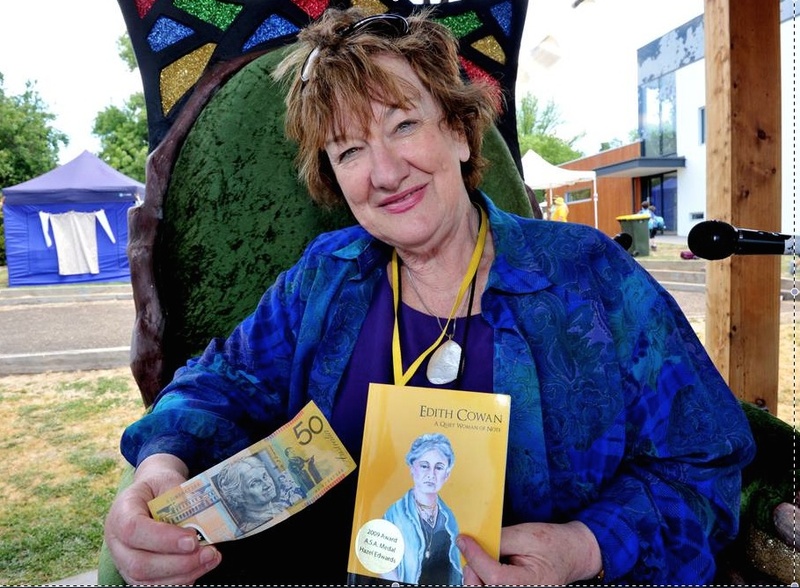 Clunes Kids Booktown: 'Edith' is a notable woman fitting the historic theme. Hazel is in the Clunes Storytellers' Chair. 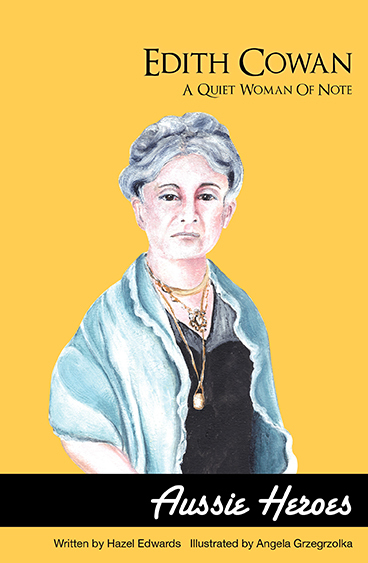 Edith Cowan's face is on the $50 note. A politician and social worker, Edith believed a group could achieve more than a single voice. And she was persistent. She knew when to talk and when to act. 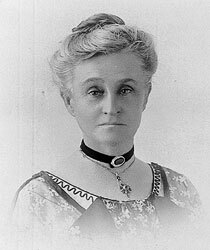 Edith Cowan University is named in her honour as the first female elected into parliament. Orphaned young, and with her father hanged for murder, she had troubles to overcome. 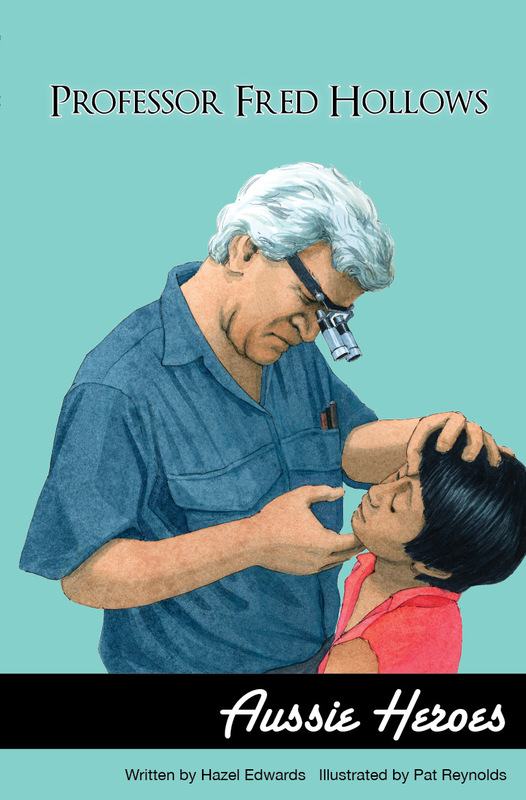 For the rest of her life she tried to make up by fixing things on behalf of others, especially children. Happily married with five children of her own, she turned a legacy of violence into social reform. 'A hard nut to crack' was written on the nut brooch she gave as a thankyou gift to her supporters when she got into parliament. Did she meant getting elected was hard? Or all the other challenges? A hero solves problems for others or improves conditions in her community. Edith was a social activist who improved housing, jobs and educational chances for many West Australians. New Frontier books in the Aussie Heroes series include Weary Dunlop, Dr Fred Hollows , Caroline Chisholm and Mary Mac Killop. Have a 'Notables' meal where guests bring food to share, linked to a quote about a notable person. Writing_Non_Boring_Junior_History-__The_Looking_Glass.pdf some examples relate to Edith here. kidsbook_review_of_edith_cowan.pdf..a must-read for students studying the impact of social change on Australian society.